What is it about little dogs? If our little dog, Nugget, weighed another 50 pounds he could take down an elephant. Honestly! Tonight I took our little dogs out for their final walk of the night. Jack was on a leash because he would never come back, but Nugget was able, as always, to walk on his own. All of a sudden Nugget tore away like a streak of lightening, barking like mad. It was dark behind our house and church, but just as Nugget got out of sight the moonlight illuminated the fur of four large, terrified deer! Somewhere in the grass was an 8 lb. chorkie threatening the lives of four 110 lb. wild animals! What was he thinking?! Giants will flee as you go forth in the power of His might (Ephesians 6:10). Be brave! We have a little dog in our family named Nugget. We call him “Nug.” He was a gift to my wife when she got her accounting degree from UTC. Nug is a Chorkie (Chihuahua-Yorkie). He is cute as all get out, but his hair can get long. That is why we have to get him groomed every so often. 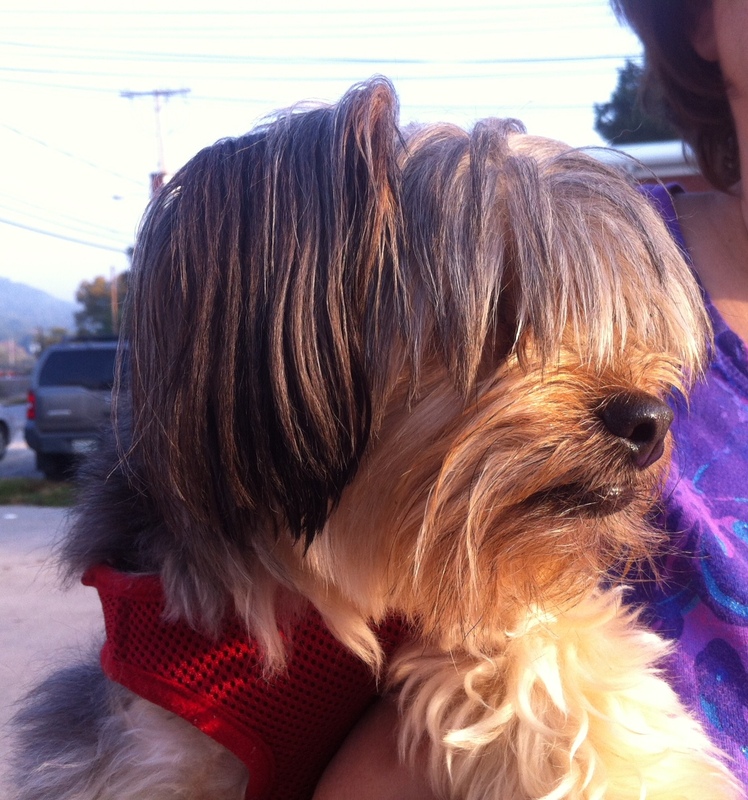 If not, his hair will cover his eyes, which causes him to not be able to catch treats. Just the other day, poor Nug was having all his treats snatched away because they would land in the floor. He couldn’t see me toss them, but our daughter’s dog, Baby Girl, could. That is when I’d had enough. He had to go to the groomers. 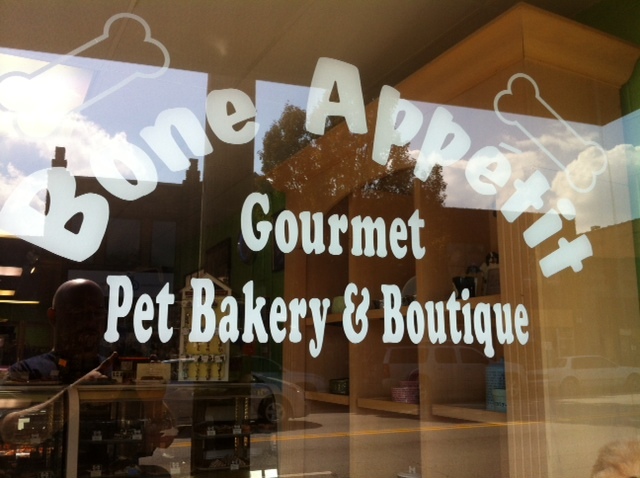 There is a cute little place in the North Shore district of Chattanooga called Bone Appetit. Believe it or not, they are a full-service dog-lover’s heaven. 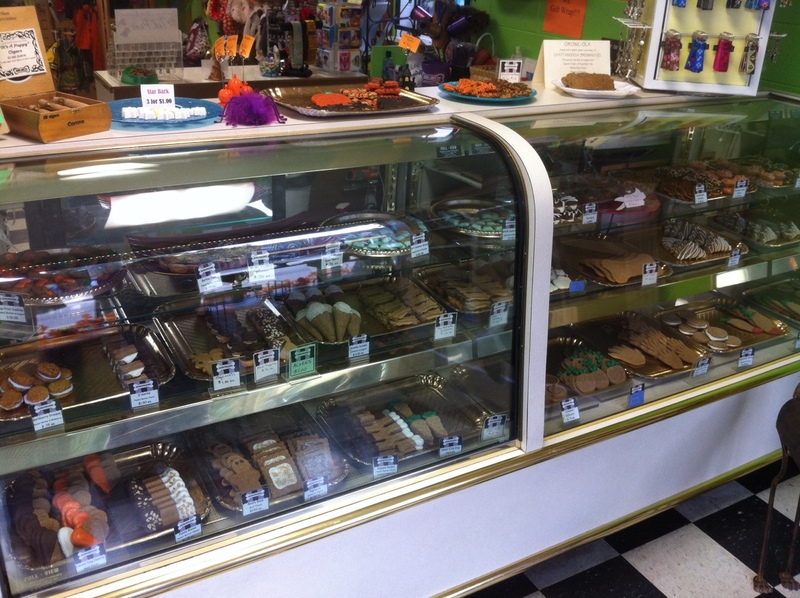 Not only do they sell toys, leashes, and food, but they sell all sorts of gourmet treats made in their own bakery. 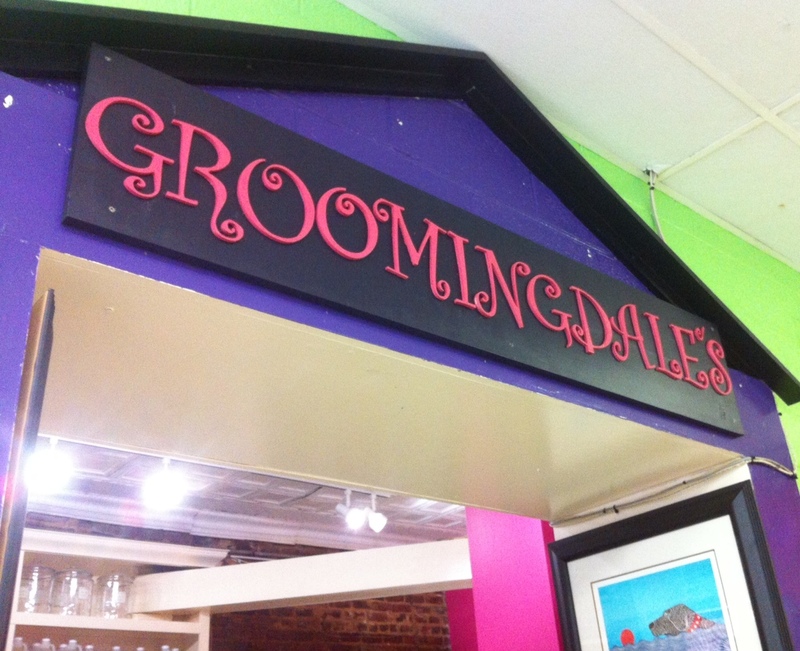 Bone Appetit is also home to Groomingdale’s. This is where Nug went to make his fur look fine. The people there were so nice, and the facilities smelled…well…not like a kennel. Having a doggy treat bakery on-site must have had something to do with it, I guess? And speaking of that bakery, I wondered what would happen if I stuck some of those treats in my daughters’ Christmas stockings? Would they figure out the cookies were meant for animals, not them? I wonder how they taste? Hmmm. These are all for dogs! So anyway, later in the day I went to get Nug. 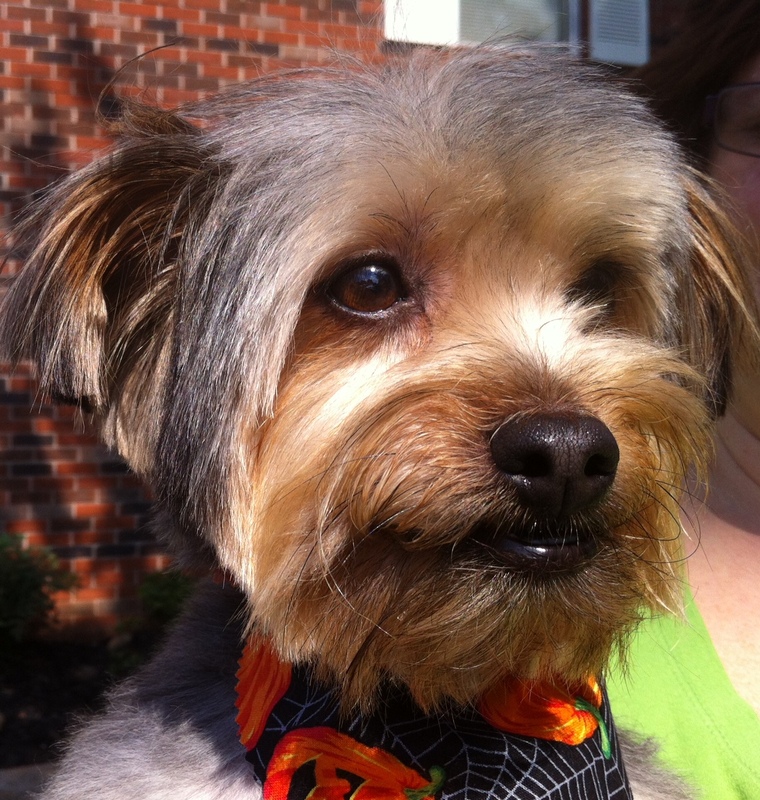 He was so happy to see me that he nearly jumped out of the groomer’s arms. Now that the hair was out of his eyes, he could see me! And he can catch treats, too! Now, I said all of the above in order to make a point. Did the way Nugget looked before, or after, change his relationship to my wife and me? The way he looked had nothing to do with his place in our hearts, only whether or not he could be “blessed” with treats. The way we look has very little to do with our relationship to God, either. Just because one person may not look his best, that doesn’t necessarily mean he isn’t a child of God. As a matter of fact, there was a really fancy poodle at the groomers, but (thank the Lord) it didn’t belong to me. Be careful when you judge by appearances. Sure, some people dress in ways that are meant to make a statement. Some don’t dress at all in order to make a statement. But, generally speaking, looks are a poor indicator of “ownership.” Nugget is no more ours now than when his hair was long. God is no more my Master because I am bald. They say you can’t teach an old dog new tricks. Why is that? Does a dog’s brain quit working when he quits chasing squirrels? 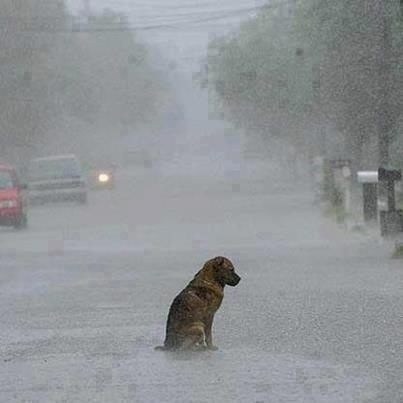 Our last dog was 18 years old when he died. I bet when he was fifteen he could have still learned something. He just didn’t want to. And besides that, how many new tricks can a dog learn, anyway? Once he has fetching, rolling over, sitting, and flushing his own toilet mastered, what else is there? Maybe old dogs come to the point where they figure learning more tricks won’t get them any more food, so why bother? Yes. Definitely, yes! Face it, feel as young as you like, but if you’re pushing 50, riding the Screaming Dropa-Whirla-Shaker will kill you! Let the teenagers eat their hot dogs and ice cream and go up and down, round and round, and loopty-loop. You still have to drive. So, if you regularly watch the evening news, drive a mini-van, remember when television stations went off the air at night, or prayed in school, stay away from any ride that comes equipped with barf bags (see picture). Are you kidding? Love happens at all ages. There’s hope for everyone, no matter how old, wrinkly, or toothless. You can even be as ugly as a warthog and still find love. Of course, it helps if you have at least one of the following: a little of self confidence, or a lot of money. No problem. Absolutely not! As a matter of fact, let me introduce you to Rev. Ken Welford. He is the latest contributor to my other blog, Proverbial Thought. He just made his first post, and he is in his 80’s! Ken, currently ministering in the UK, was a Baptist pastor (retired) from 1956-1978. He also did work for The Far Eastern Broadcasting Association in places like Papua New Guinea, India, and Singapore. Now, he’s in the blogosphere reaching everywhere! You go, Ken! Never! 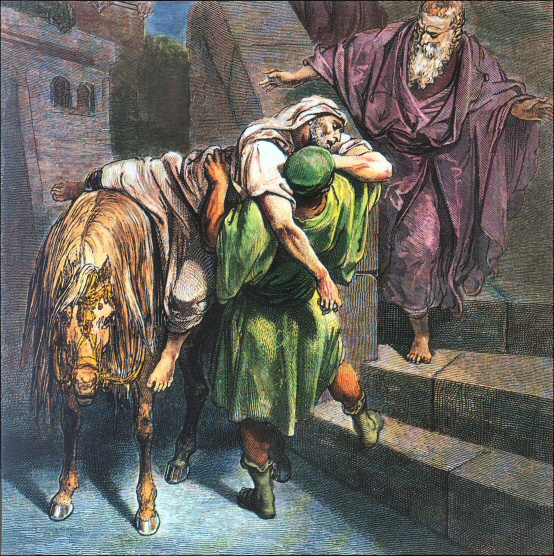 Abraham was 75-years-young when he left his homeland to follow the leading of God (Gen. 12:4). Moses was 80 when he did a face-off with Pharaoh (Ex. 7:7). Even late in life, they believed the Lord and trusted his guiding hand. What’s our excuse? Don’t leave ministry to the young. Don’t think getting older means retiring from your faith. Take a cue from Caleb: at 85 he still had a mountain to conquer (Josh. 14:10). A few aches and pains wasn’t keeping him from his reward! Any more Calebs out there? You’re never too old, you know. What else are you never too old for?